The suave and urbane Xavier Cugat was the man who first brought Cuban and Latin rhythms into public consciousness in the United States, and in the quarter century or more that spanned the Second World War from the ‘30s to the 60s Cugat’s band was one of the most acclaimed on the international stage, and he appeared in a string of films and amassed an extraordinary catalogue of singles and albums. This collection covers his career in a musically anecdotal fashion and in broadly chronological order from his earliest recordings in the ‘30s through to material from the late ‘50s, and includes versions of many of his most popular tunes, along with some lesser known material, as a way of showcasing not only the essence of his style but also the breadth of technique and creative development. He was a colourful, larger-than- life personality, characteristics which certainly come across in this varied and enjoyable celebration of Latin exotica. 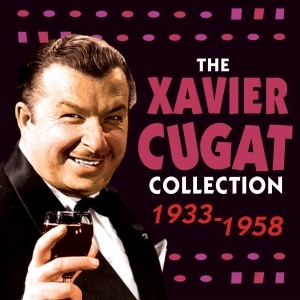 14 Green Eyes Xavier Cugat with His Waldorf Astoria Orch.